Is Far Cry 4 antagonist a representant of non-traditional orientation? Last week we told you about the Far Cry 4 story and its Season Pass, and today we are hasten to share another interesting information about the main villain in the game. Although this shooter was announced a couple of weeks ago, it has already got a mass of rumors and speculations, but neither the developer, nor the publisher hurries up to confirm or deny them. However, some rumors have been proved. Thus, recently the editor of MyXboxLive portal has taken an interest in a speculation, according to which Far Cry 4 antagonist is a representant of a non-traditional orientation, or to be more exact, he is a gay. In order to verify this information, the editor of the abovementioned site has addressed to the PR-manager of Ubisoft Montreal - Marie-Michelle Crevier. The latter one during the phone conversation has confirmed the rumor that Far Cry 4 antagonist is a gay, but hasn't revealed any other details. She has asked to make an appeal to Scott Fry - the lead PR-manager of Far Cry 4, who for the current moment is unavailable. 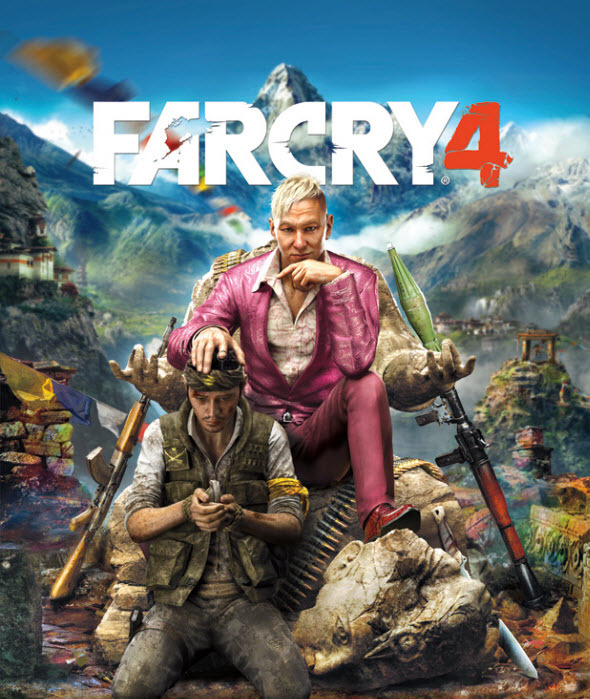 And really, if you look at the game’s box-art, on which the main villain - the king of Kyrat (Pagan Min) - is depicted in a pink color suit and red shoes, sitting in a bit strange posture, you will definitely ask yourself about his real orientation. But the true information about Far Cry 4 antagonist, as well as about the game’s details will be told soon - during E3 expo. So stay with us, and you will be aware of the freshest shooter’s news. Let us remind you that Far Cry 4 game will be launched in the second half of November on PC, the current and next-gen consoles.